Lee (fourth left) with Sarawak Gas Distribution Sdn Bhd officers inspecting the work at the site. 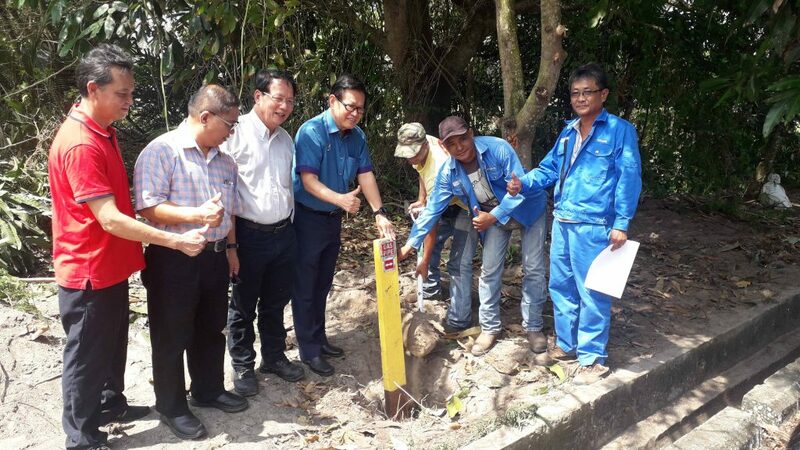 MIRI: Work to install natural gas pipes underground at Desa Pujut 2 in Permyjaya here is expected to be done by the end of next year. The project will benefit some 1,073 households. Sarawak Gas Distribution Sdn Bhd is doing the installation. “We have four phases in this area, and Phase Three, which is ongoing, is scheduled for completion within this year,” said Senadin assemblyman Datuk Lee Kim Shin at the site yesterday. Phase Three covers 296 households while Phase Four covers 225. “Permyjaya is the only one left for this gas pipe project. We will move on to Vista Perdana and South Lake after the Pan Borneo project is completed,” said Lee. For facilities, the installment cost is RM1,880 per house and homeowners can opt for monthly payments of up to 60 months. Underground gas lines expected to be done by 2020 0 out of 5 based on 0 ratings. 0 user reviews.